2.0 (also known as Enthiran/Robot/ Robo2.o/2 Point 0/Robot 2) is an Indian Tamil Language science fiction action film. Directed by S. Shankar and Produced by A. Subaskaran & Raju Mahalingam under the banner of Lyca Productions. The film features Superstar Rajinikanth, Akshay Kumar & Amy Jackson in lead role. 2.0 [Robot 2] had a worldwide released on 29 November 2018. ‘2.0 Or 2 Point 0 Or Robot 2‘ is co-written and directed by S. Shankar, who previously helmed Super Hit films like I, Enthiran: The Robot, Sivaji: The.Boss and much more. The film is set to release on 29 November 2018. 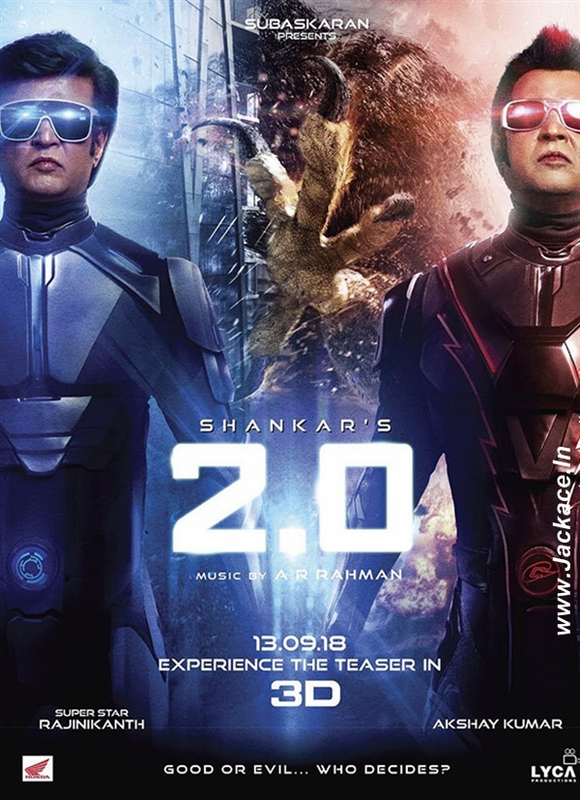 Rajinikanth and Akshay Kumar starrer 2.0 is the First Indian movie that is directly shooted in 3-D, Since the film is made on a high Budget of 545.00 crore so the film is most expensive film made to date in indian history. 2.0 is shot in Tamil language and will be released in 14 other languages with dubbed versions. A spiritual successor to Enthiran (2010), it features Rajinikanth reprising the roles of Dr. Vaseegaran and Chitti, alongside Akshay Kumar and Amy Jackson. Sudhanshu Pandey, Adil Hussain, Kalabhavan Shajohn, and Dr K. Ganesh appear in supporting roles. 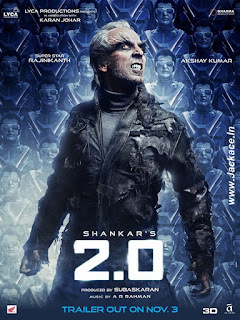 -> 2.0 (Robot / Robo 2.o) is India's most expensive films that has been made with a budget of 570.00 crore approximately unlike Baahubali 2: The Conclusion which has been made with a budget of 250.00 approximately. -> According to a leading daily, 2.0 (Robot / Robo 2.o) has released around 6600-6800 screens in India, While Baahubali 2: The Conclusion had managed to acquire approximately 6500 screens across the country. -> The Rajinikanth and Akshay Kumar starrer has acquired 2,500 screens overseas. -> 2.0 had grossed approx 750.00 crore after third week at the worldwide box office. -> 2.0 had grossed approx 710.98 crore after second week at the worldwide box office. -> 2.0 had grossed approx 526.86 crore in its first week at the worldwide box office. -> In North India, 2.0 has grossed 144.05 crore in five days. -> In Kerala and Karnataka, 2.0 has grossed over 35.00 crore in five days. -> In Andhra and Telangana, 2.0 has grossed over 55.00 crore in five days. -> In Tamil Nadu, 2.0 has grossed over 60.00 crore in five days. -> 2.0 has become the Rajinikanth's third movie to crosses 200 crore club after Enthiran (286.00 crore) and Kabali (289.00 crore). -> The Shankar's film has collected 09.80 crore from the overseas centres in its 2nd day. -> The film has earned 04.05 crore Karnataka and 01.95 crore gross in Kerala box office in its 2nd day. -> In Tamil Nadu the film has collected 08.80 crore in its 2nd day. -> Rajinikanth-starrer has earned 11.40 crore froma t Andhra and Telangana box office in its 2nd day. -> 2.0 has grossed 54.00 crore gross On its 2nd day at the worldwide box office. -> The Shankar's film has collected 23.20 crore from the overseas centres in its opening day. -> The film has earned 08.00 crore Karnataka and 4.15 crore gross in Kerala box office in its opening day. -> In Tamil Nadu the film has collected 18.20 crore in its opening day. -> Rajinikanth-starrer has earned 18.10 crore from 1200+ screens in Andhra and Telangana box office. -> 2.0 has grossed 91.90 crore gross On its opening day at the worldwide box office. -> Rajinikanth, Akshay Kumar & Amy Jackson starrer 2.0 (Robot / Robo 2.o) movie is estimated to have earned 12.50 crore for its distributors on its opening day. -> Superstar Rajinikanth's 2010 film Robo, dubbed version of Shankar's Enthiran, had become a massive success with its collection crossing 65.00 crore gross in AP/TG in its lifetime run. > The film had released the film in around 1,400 screens across the Telugu states. The film is predicted to collect over 07.00 crore gross at the Hyderabad box office on the opening day and it is like to beat the record of Baahubali 2: The Conclusion which had collected approx 06.50 crore on its opening day at the Hyderabad box office . Rajinikanth Played roll of as Vaseegaran and Chitti, Akshay Kumar played as Dr Richard / Crowman, Amy Jackson as Nila, Sudhanshu Pandey as Shahrah Bohra including other actors Adil Hussain, Kalabhavan Shajohn, Kalabhavan Shajohn, Kaizaad Kotwal, Mayur Bansiwal and Riyaz Khan. The music rights rights of the film has been acquired Lyca Productions, who also produce the film. The music of the film has been composed by A. R. Rahman, while the lyrics have been penned by Abbas Tyrewala [Hindi], Madhan Karky & Bhaskar Batla [Tamil] and Ananth Sriram & Bhaskar Batla [Telugu]. Starring Rajinikanth, Akshay Kumar, Amy Jackson in lead and Music Composed by A R Rahman. A teaser of the film was released on 13 September 2018 and The Trailer of the film was released on 03 November, 2018. 2.0 [Robot 2] marks the second installment of a franchise that began with Robot [Enthiran] (2010). The story is based on Chitti, where he will be forced to be reassembled by Dr. Vaseegaran and the Indian Army in order to stop the Fifth force. Story of 2.0 Or 2 Point 0 Or Robot 2 resolves around a scientist Vaseegaran (played by Rajinikanth), He will reassemble robot Chitti (also played by Rajinikanth) and come up with an updated version of his mega robot named 2.0 to defeat Dr Richard / Crowman (played by Akshay Kumar) who has an incredible ability to turn into any shape and size using the captured mobile phones from across the earth. And what follows is the mass destruction caused by Dr Richard who vows to eliminate the human race for inventing the technology that caused adverse effect on environment. Moviegoers will witness some larger than life fighting sequences between 2.0 and Crowman and how they simply destroy everything in their path with their supernatural abilities. The movie has been fully shot in 3D. 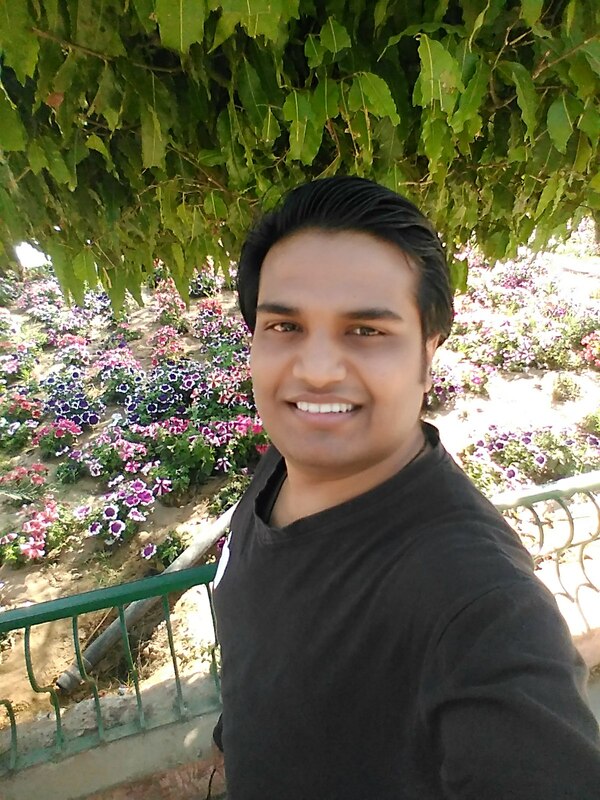 2 comments to ''2.0 / 2 Point 0 / Robot 2: Box Office, Budget, Hit or Flop, Predictions, Posters, Cast, Release, Story, Wiki "